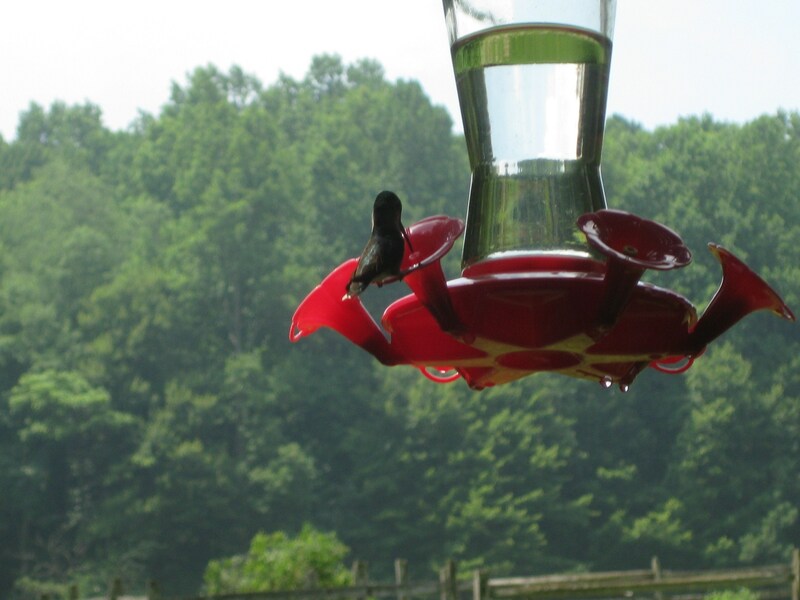 I’m fairly certain that until I visited western Pennsylvania this summer, I could count on one hand, maybe two, how many hummingbirds I’d seen in my life. 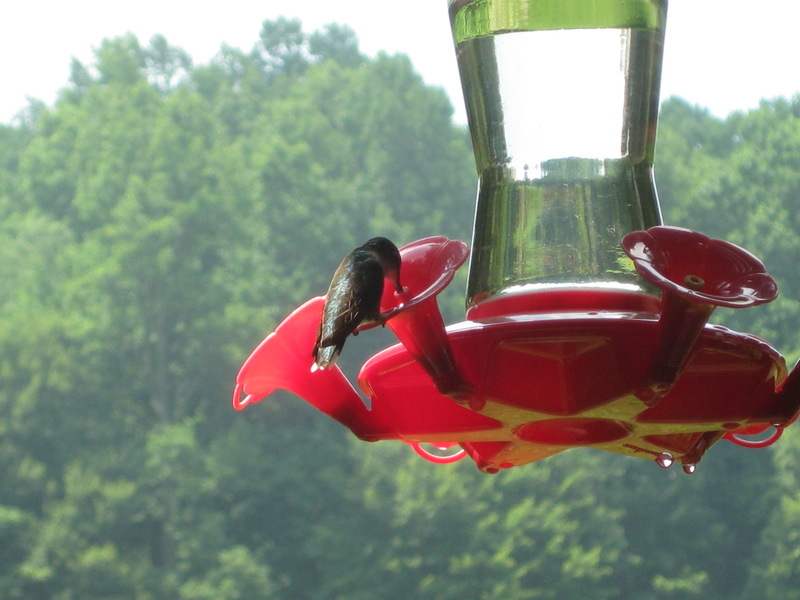 Given the location and time of year, and thanks to a pair of hummingbird feeders, I easily surpassed that number of sitings in about, oh, two minutes time. 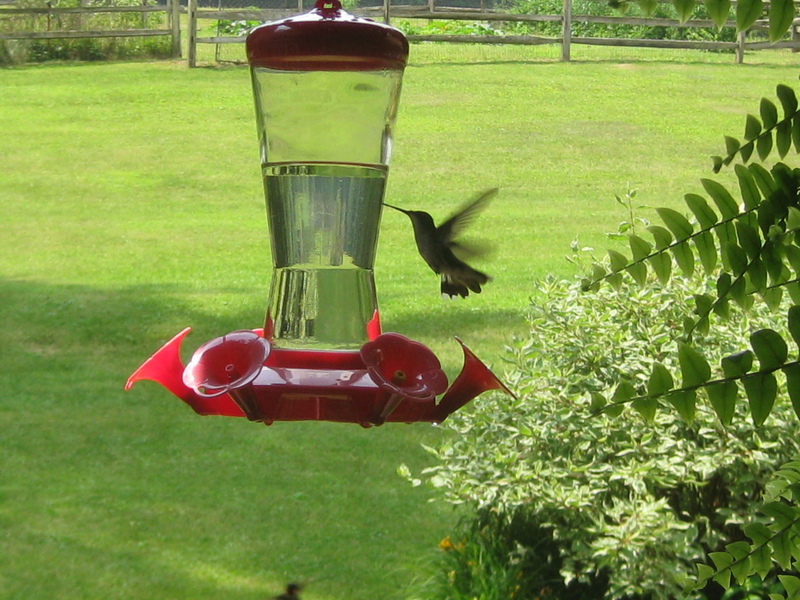 The hummingbirds endlessly fascinated and delighted me. 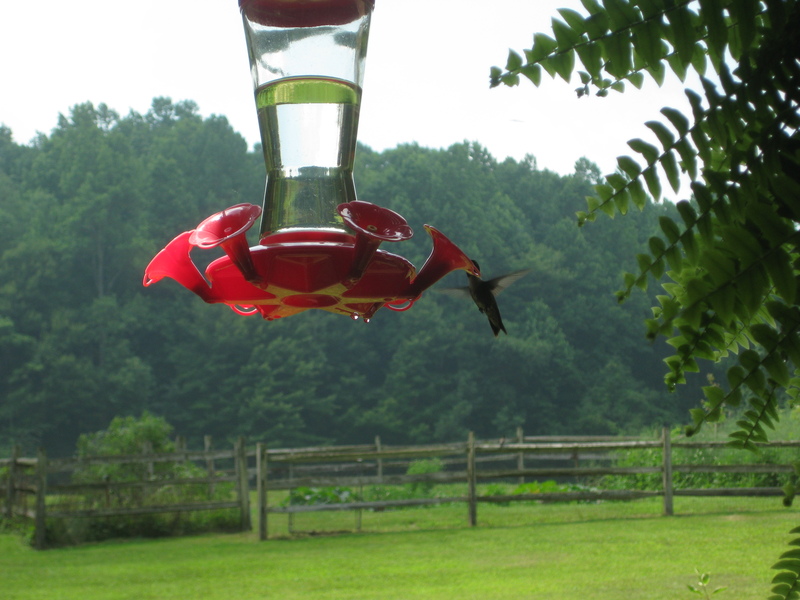 They buzzed effortlessly back and forth from feeder to feeder just slow enough for the eye to follow with some effort, and then would stop so suddenly the eye would continue down an anticipated trajectory for a hundredth of a second before realizing it was now following only a projection. I say it would stop, but really it was not a stop since tiny wings were still in blurred motion. It was a hover, a hover and then a dash. Dashing creatures, unafraid to whirl by so closely instinct made you duck. 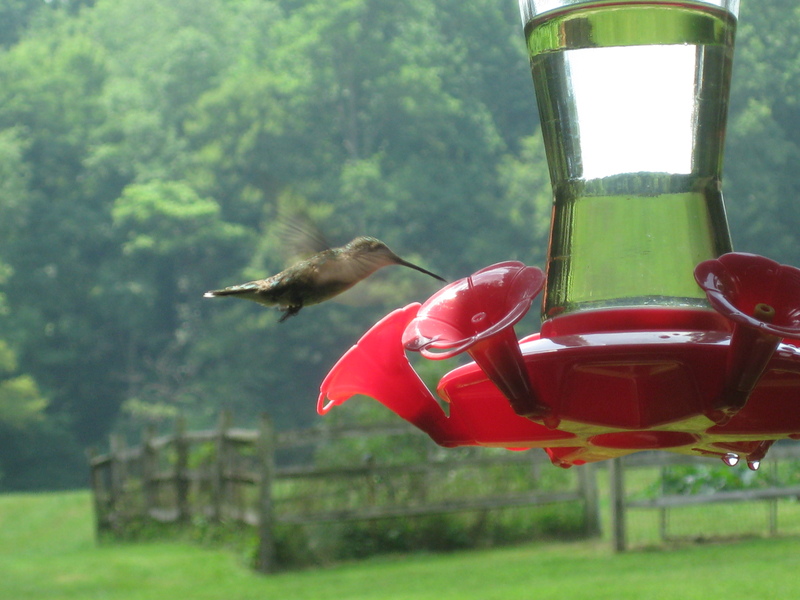 Sometimes it would stop, perched on the feeder. When it did, you realized just how small a bird this was, and elegant. 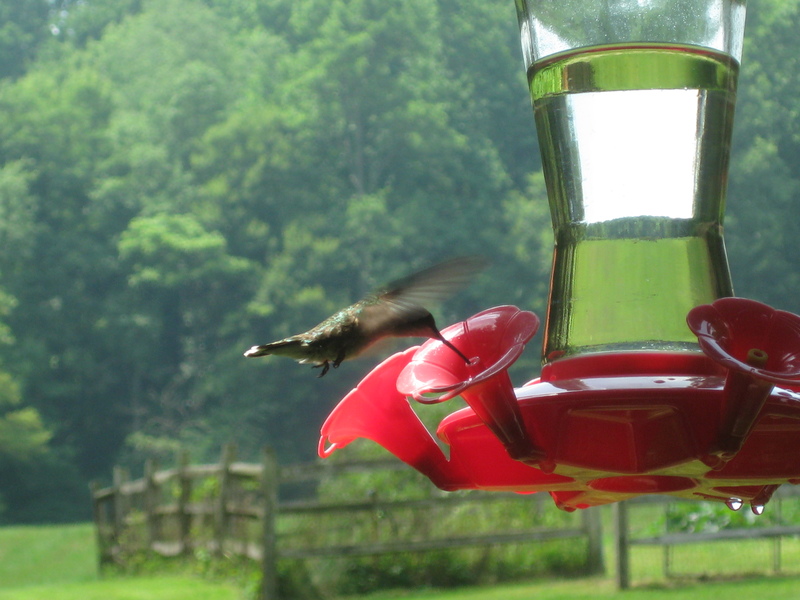 When the hummingbird hovered to draw from the feeder, unbroken focus seemed married to feverish activity. Maybe there is a useful digital age metaphor wrapped up in that moment. I took the shots below (incidentally, interesting metaphor we chose for the act of taking pictures) with a pretty average camera from a fairly close distance. The DOF is very good in these photos. Thanks! But as a measure of my amateur level photography status consider that I had to look up what DOF stood for! Love it! 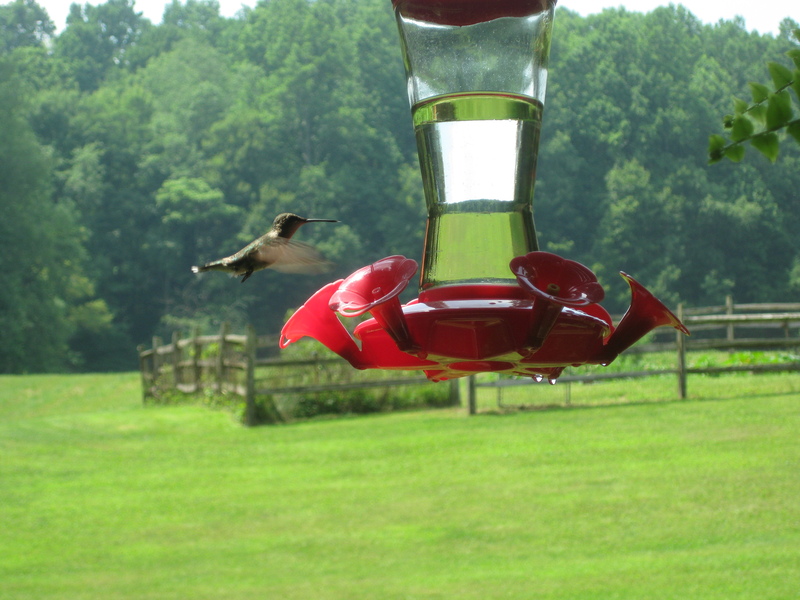 I live in western PA and my husband and I put a feeder up this year. We get three or four at a time and those tiny things are crazy! You have to watch where you walk! I’m almost certain one flew between me and a glass of wine I was bringing up to my mouth!